I don’t know about you, but I am so excited that The Great British Bake Off is back on our TV screens. I’ve missed the puntastic Mel and Sue, Mary Berry and her bright, floral blazers and even Paul Hollywood’s seriousness amid a room of cake batter and bunting. Other than making me want to eat the entire baking isle of the local supermarket, GBBO also gets me reaching for my apron in the hope of making something that resembles one of the contestants’ masterpieces. 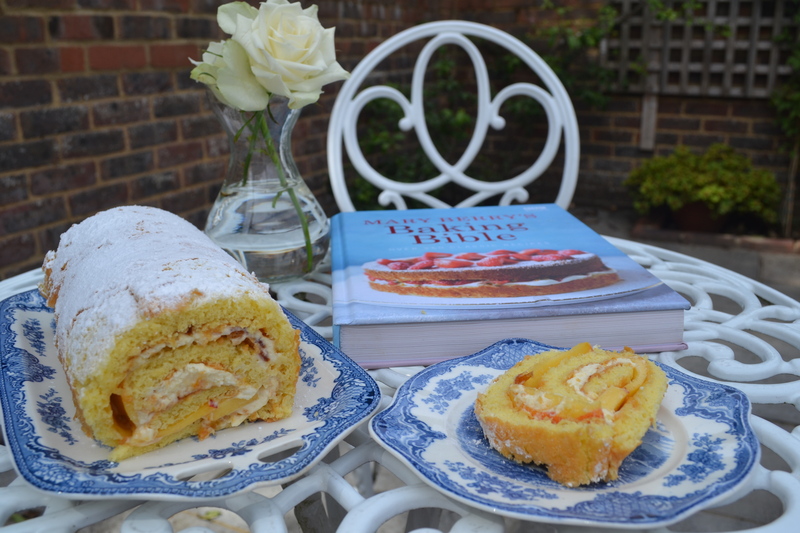 So, I have decided to attempt to recreate one of the bakes each week – and week one included the classic Swiss Roll. I delved into Mary Berry’s Baking Bible for a basic recipe and then decided on my fillings: homemade plum jam and whipped cream. It was surprisingly quick to make and only requires a 10-minute bake in the oven. The rolling itself required a little more concentration, but my sponge was pretty pliable so worked a treat. It’s definitely not as ambitious as the GBBO contestants’ swiss rolls, but it was light and tasty and perfect with a cup of tea. Filling: whatever you fancy! Jam is the classic, to achieve the perfect coloured swirl. 1. Pre-heat the oven to 220C/Fan 200/Gas 7 and grease a swiss roll tin (13x 9 in) and line with baking paper. 2. Beat the eggs and sugar together until light and frothy and then add the sifted flour, carefully folding it into the mixture. 3. Pour the mixture into the tin and bake for around 10 minutes, until it’s lightly browned and coming away from the tin at the edges. 4. Place some baking paper on a work surface and sprinkle with caster sugar, before upending the sponge from the tin and peeling off the baking paper. Neaten the edges and leave to cool. 5. Spread with jam and add any other fillings and score the sponge lightly 2.5cm from one end. Roll carefully. Neaten up the ends with a knife. * Note: This is a Mary Berry recipe from Mary Berry’s Baking Bible and my attempt at baking it using her recipe! 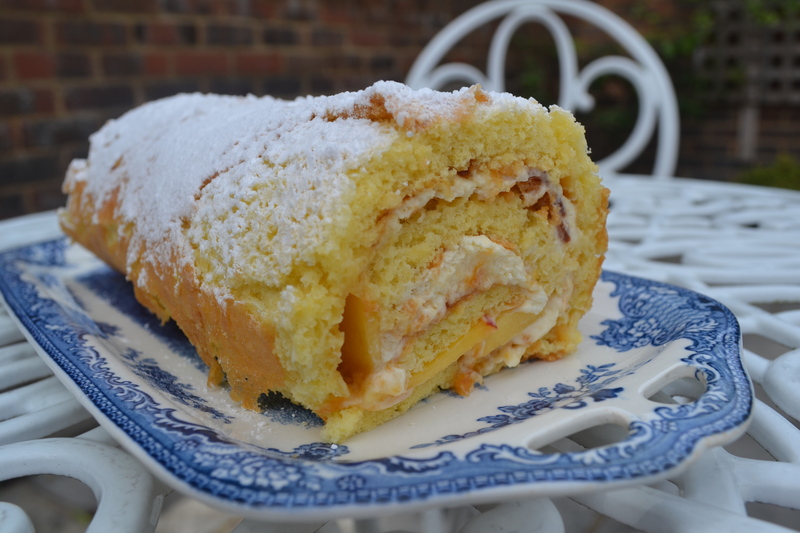 this was the wrost swiss roll recipe i have made! the temperature of the oven is too hot,,so the cake would not have been cooked when it was turning brown, so turned the oven down to cook it through, so it then wouldnt roll! and just cracked! will stick to my older more reliable recipe next time! That’s such a shame it didn’t work out Sandra. I followed Mary Berry’s recipe and it worked perfect for me – the sponge cooked for 10 mins at that temp was nice and pliable and dind’t crack. Was the tin the right size? My mixture was spread pretty thin so cooked quickly.